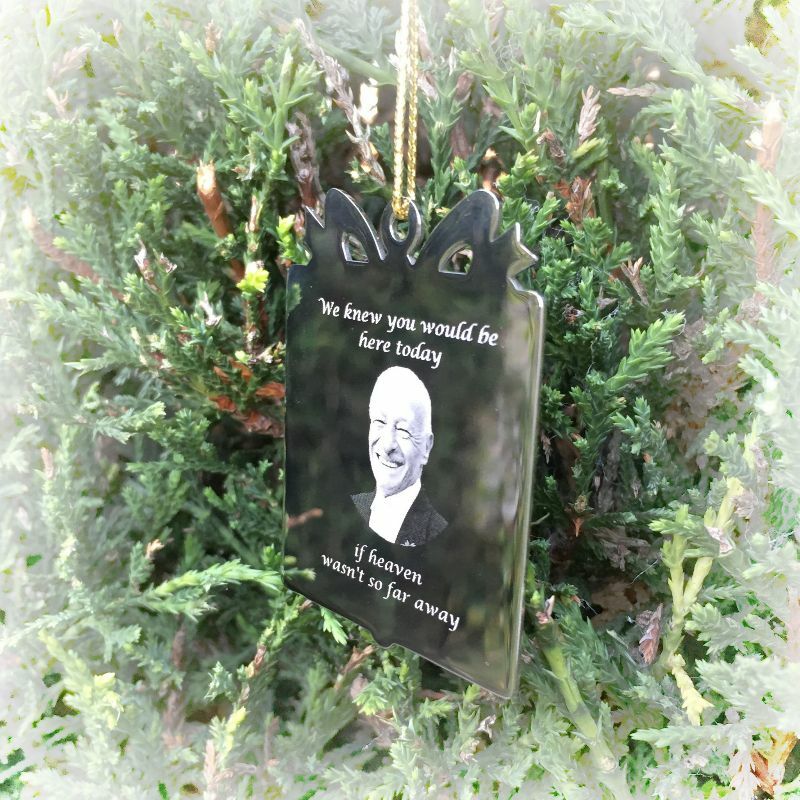 A lovely sentimental personalised photo christmas decoration which is engraved with the wording 'We knew you would be here today, if heaven wasn't so far away'. 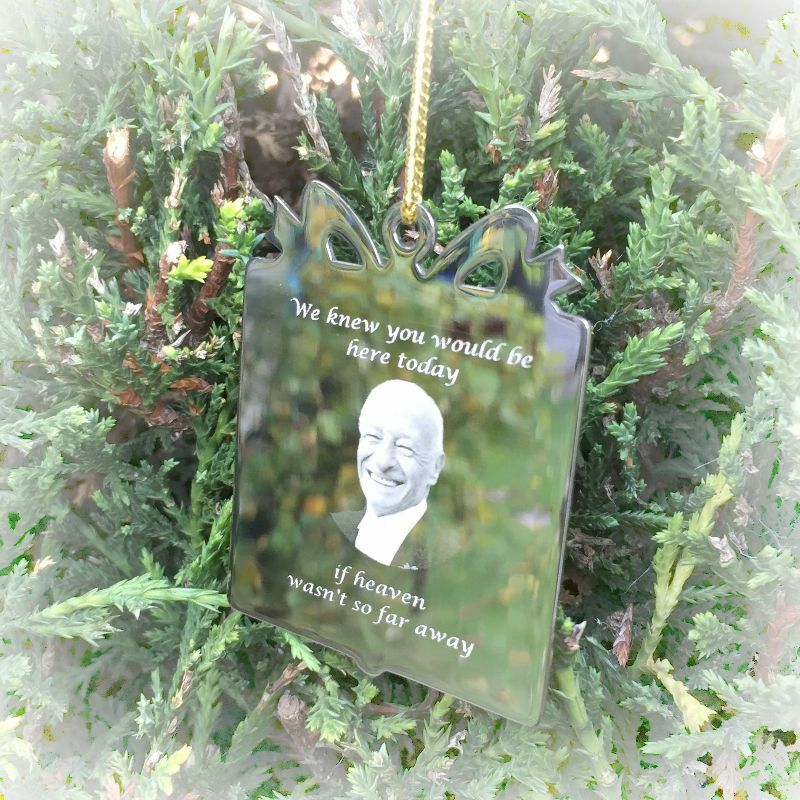 We will edit and remove the background of your image if neccesary and engrave your photo onto this super shiny stainless steel christmas decoration. 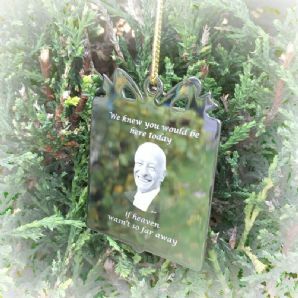 On the reverse of the decoration we will engrave the message of your choice.